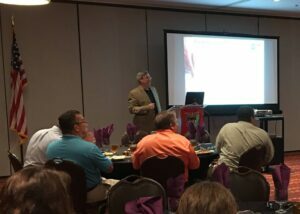 This recent Society of American Military Engineers (SAME) luncheon was attended by Business Development Professional Ann Scruggs. Captain Thomas C. Remmers, Commanding Officer for the US Coast Guard was the guest speaker for the event. Great program!